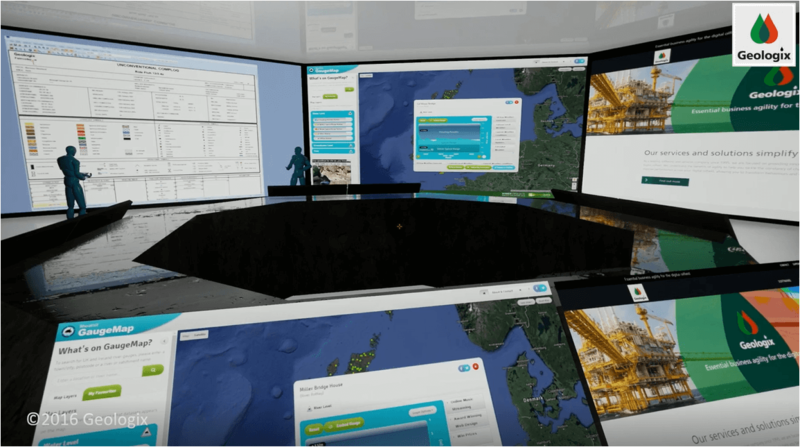 The real strength of VR and AR in oil and gas is their ability to disseminate information to the user in a truly immersive experience. Real-time Operations Centres (RTOCs) are now in widespread use but these suffer from high capital and operating costs, they are difficult and expensive to reconfigure and are often difficult to engage with from a remote location. Conversely, a Virtual Real-time Operations Centre (vROC) is low cost, can be configured quickly and decommissioned readily when no longer required. With modern networking configurations it is easy to connect from anywhere. The digital twin links the physical world with the digital (virtual) world, providing a digital model of a physical asset or process. 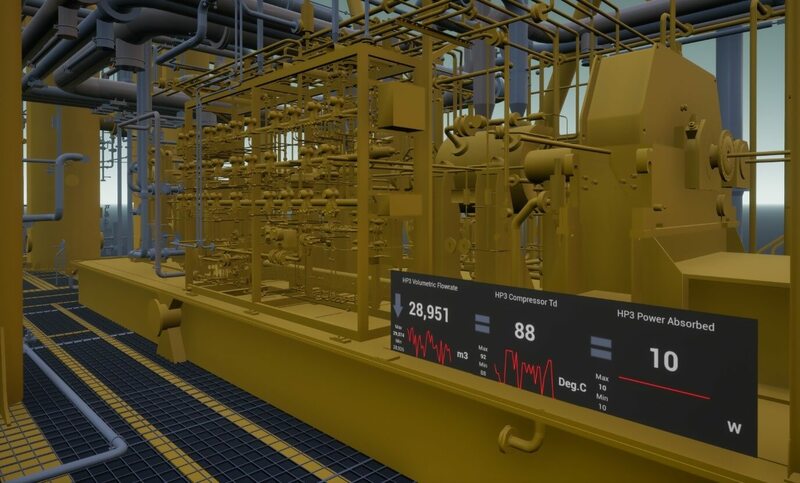 It is the virtual space that the user will navigate in VR and so in the case of a 3D plant model it must represent the physical plant as closely as possible in terms of dimensions and features. In the case of an existing brown-field plant, the digital twin is constructed typically from a LiDAR survey of the plant, which includes precise measurements and scaling to reproduce the plant as an accurate 3D digital model. In the case of a pre-build design, the digital twin is usually constructed directly from the 3D design software such as Aveva PDMS. This picture shows an example of a digital twin including real-time data and trends.